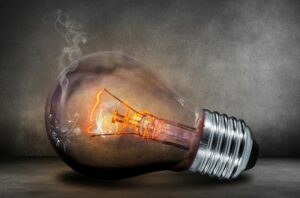 Power cuts happen infrequently, but they can be really troublesome if you haven’t prepared for them, particularly if you have kids. To weather a power cut safely and comfortably, there are preparations you can make in advance and things you can do while the electricity is out. If power is out across the neighbourhood, cash machines and POS systems in shops could be down too. Keep some cash in the house in case you need to grab any essentials from the shop. First of all, confirm you are indeed experiencing a power cut and not just a wiring issue. Depending on the time of day, you can check this by checking if the street lights are on outside. If they’re off too, it’s likely a power cut. Broad daylight? Check your electrical circuit board to see if any switches have tripped. Contact the energy supplier for your area for more details about the power cut and some clues as to when it’ll come back on. You can do this by calling 105 and being automatically connected. If power is out for too long, food may defrost. You won’t be able to refreeze it again. Where possible, eat food from the freezer first so it doesn’t go to waste. It can be quite exciting when the power goes out but the novelty wears off when you see the battery on your Kindle or iPhone running low. It’s dispiriting to realise how much we’ve come to rely on electricity but, don’t despair, there are plenty of things you can do to pass the time. Get some sleep. We’re always talking about how tired and rushed off our feet we are! Well, in a situation like a power cut, you are forcibly slowed down. You’re definitely not going to miss ‘that email’ or your daily dose of Facebook, so grab forty winks. Write a letter. In this day and age, going without the internet and reconnecting on a more personal level is always a good thing. Writing a letter is a quaint pastime these days, but a lovely thing to do. Play cards. Poker is even more thrilling when it’s so dark you can’t make out anyone’s poker faces! Have a ‘midnight feast’. If you’re concerned about food going off, raiding the fridge freezer for cheese and biscuits, and ice-cream is a treat, especially if you have kids unsettled by the situation.